After the attack by Ike the Spike a (seemingly) one armed man with a red tie enters the scene in the background? I noticed that too! I think it is Lynchs belief put in his art, that the spiritual and physical are always side by side, Dualism. 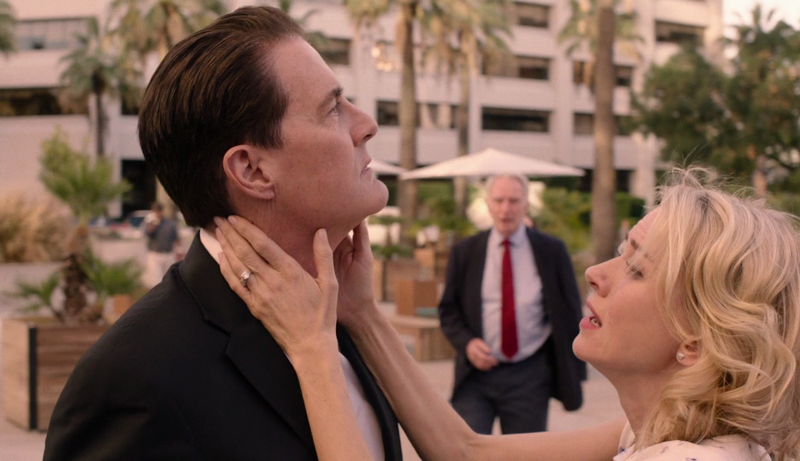 No doubt MIKE was right there watching dougie from the spiritual black lodge twin peaks universe.